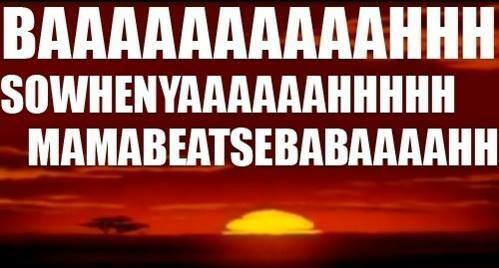 The Lion King intro. Hands down the most epic and memorable movie intro in film history. Who doesn’t have some mental picture of that sun coming up while some incredibly powerful voice sings/shouts something? And while we can never really put our finger on, we know it sounds amazing. If you need a reminder, or would just like to watch it again for the 400th time (like me), here is a reminder. So, over the years, the lyrics of the intro have been open to interpretation by many. Even the Lion King’s own Timon has his own version of the legendary intro. But, as it turns out, they are actually saying something in those first lines. That’s right. The intro is in Zulu, and here is what it says. No, it is not just gibberish. In fact, it’s a quite literal description of what is happening. Next time you watch the movie you could pull up this post and sing along with the actual words, and maybe it all finally falls into place.